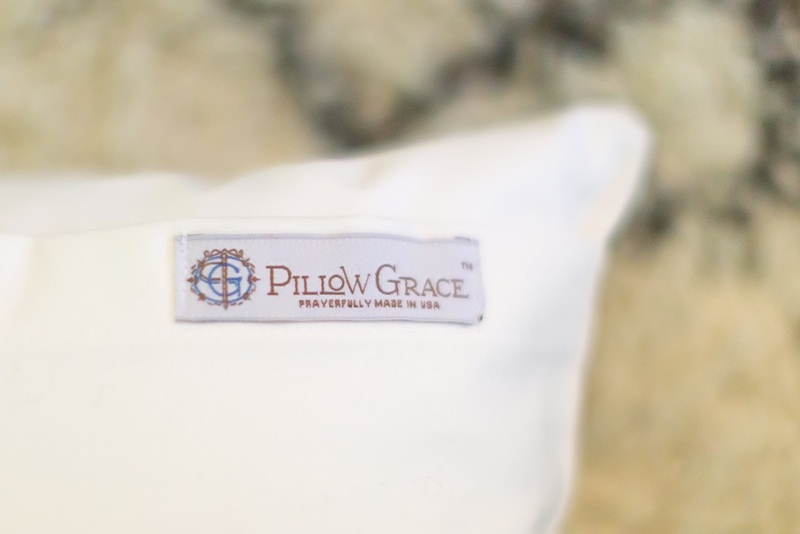 I first learned of PillowGrace a few months ago and I was madly in love from the moment I looked at the website. 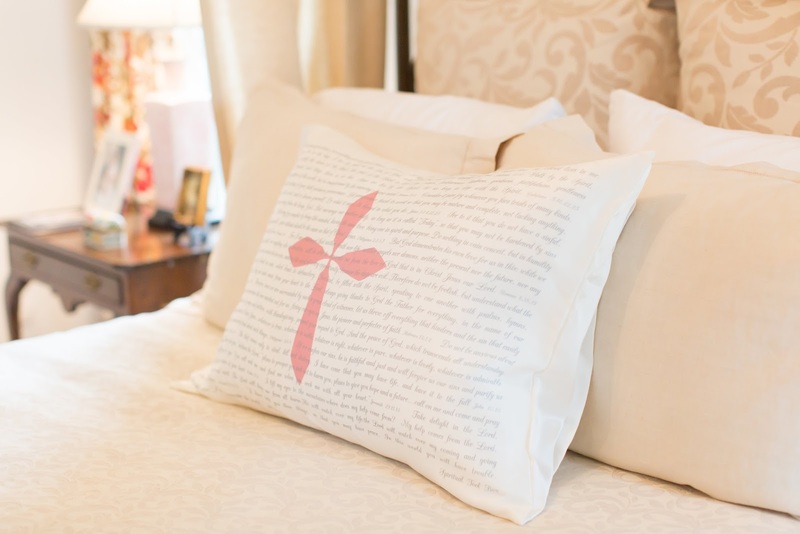 PillowGrace sells the most amazing and precious pillow cases I have ever seen and definitely the most practical. In the world we live in and are raising our "littles" in this is the best thing I have seen to bring peace and reduce anxiety in us all. I truly want to stand on something tall and say to all ... you need this and you need to give it to all the people you know and love! Can you tell I am passionate? I truly mean what I say. My faith carries me every single day. Life is hard and we aren't meant to walk it alone. We have a loving Father and people on this earth to make it easier and to love and lift us up. To call us out and to point us to our faith. I have absolutely loved meeting and getting to know Julie Rowland and hearing her journey to create such a precious and uplifting product. She is humble and darling and truly has such a passion for what she is doing. 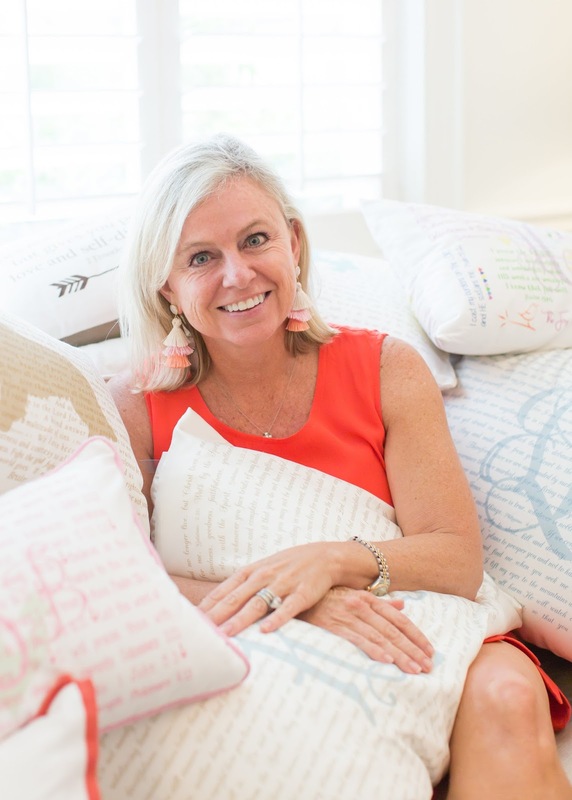 What she has created is a quality and amazing pillow case that makes such an incredible gift for yourself, your family and others. I am so excited for my daughter's round of besties to have birthdays this year, I have picked out one for each of those darling and amazing girls. First of all, tell me about Julie Rowland. Where did you grow up and how did your childhood influence your life and your journey? I grew up in Atlanta, GA Moved to St Simons Island in 2002. I was an only child. I attended Pace Academy and went to Presbyterian College in Clinton. SC. As a child I didn't have a strong relationship with Christ but I wanted one. I knew there was something more and I desired it. I always made sure I spent the night on Saturday night with someone I knew would be going to church on Sunday. It was the type of people I enjoyed being around all the time. I loved those people! A veterinarian. I wanted to help animals. I love they way they love unconditionally and I wanted to be around that love all the time. What has your journey looked like and how did you get to the present day with Pillow Grace? It all started with just one pillow case for a little boy with Leukemia named Luke. 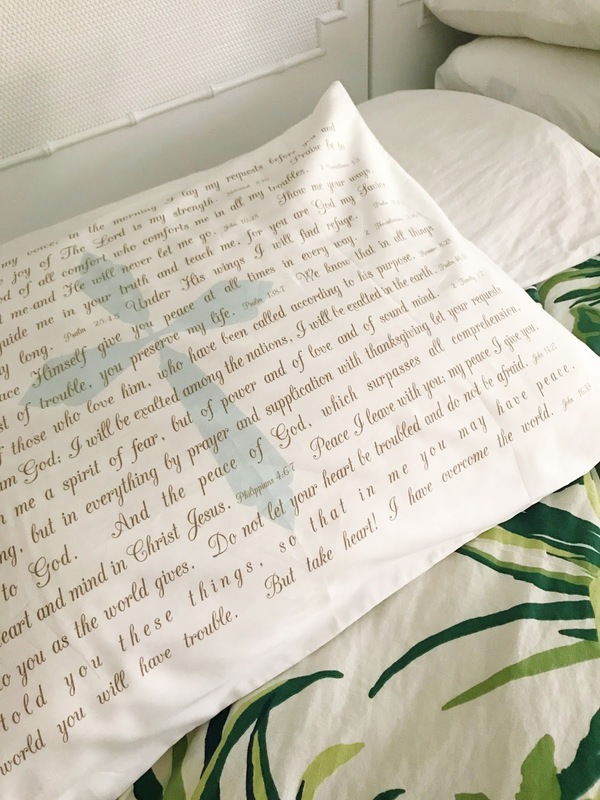 A friend of his family asked me to make him a pillow case with scripture on it for him to have in the hospital while he underwent treatment. My friend stayed on me and kept me inspired to complete the task. 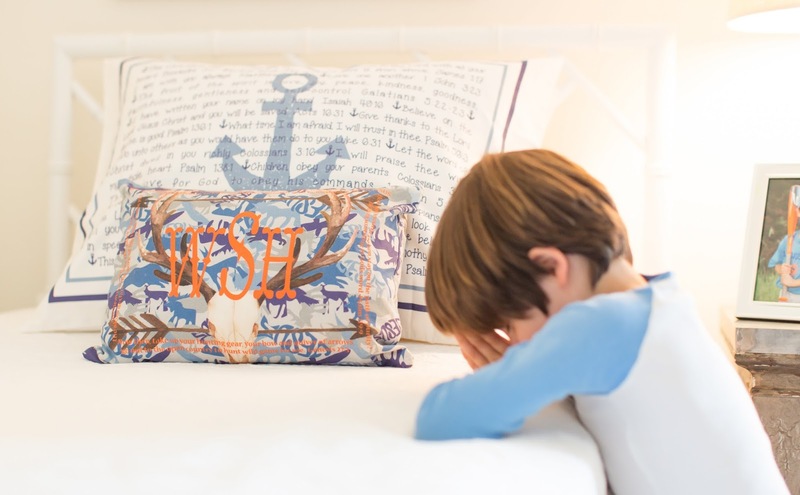 His pillow case was perfect for him – gold and purple with tiger stripes because he loves LSU football and covered in encouraging verses to bring comfort to him and his family. At that time I was working out of my home and had no experience in graphic design or textiles. Flash forward 4 years - we have over a dozen verse designs, dozens of font and color options, customers and retailers across the country, a website, and a warehouse and shop to work out of. I’ve made lots of mistakes along the way, but I have also learned so much and have met some incredible people. We have been able to touch a lot of people with what we do and that truly has been the best part of my journey. Anything you wish you had done along the way and didn't do? I have been way too conservative in business decisions. I waiver between organic growth and calculated growth. I want it to be organic but as a business owner I need it to be more calculated. I think I need to find a better balance in this area and be ok with more calculated decisions. Harriet Jones for introducing me to God’s promises and encouraging me to follow Jesus. Marti Tolleson for exposing me to the retail side of business. Hank Rowland, my husband, who encouraged me from the very first utterance of the idea. He is truly the “business” and the “glue” that holds me and PillowGrace together. There are so many. Every single day is like that one hole on the golf course that keeps me coming back another day. 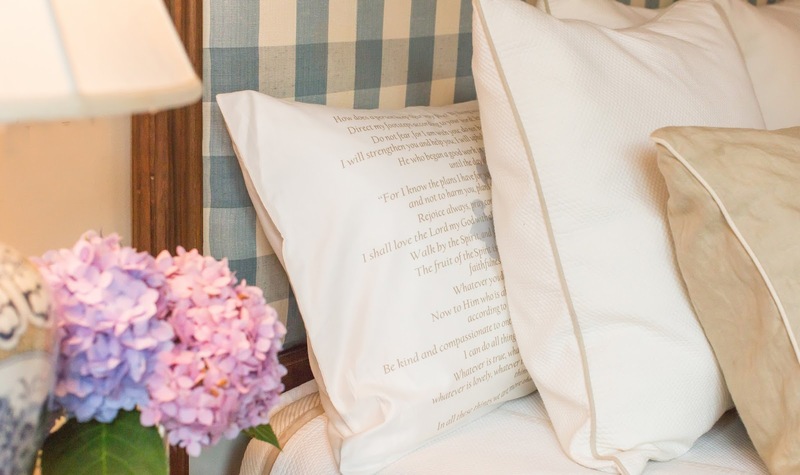 Every single story and customer that shares their PillowGrace moment when they received their pillow case beings me immense joy and gives me the desire to keep striving for more. I love the story you told me about sleeping on the word and how it inspired you to start this amazing business. Can you share it again? I was in bible study and the teacher taught us that physically we can only think on what we know and we can't think on what we have not heard. She told us we needed to memorize scripture so that when our minds start to wander we can pull truth to calm the anxiety. She put her bible on her head and said "this is how close your bible should be". I immediately thought well I can't sleep on my bible so I need to come up with a better plan. The pillow case idea came almost immediately. My designs are meant to allow us to literally "sleep on truth". To battle the anxiety that strikes in the middle of the night and robs us of our rest. As a wife, mother of four, and passionate Christ follower, Julie understands the day-to-day struggles that life often brings. 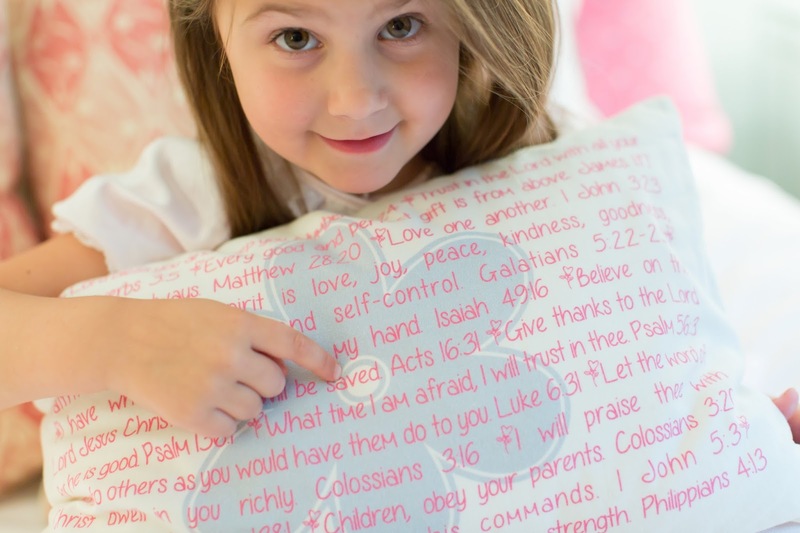 She created PillowGrace to help the busy, tired, and concerned remember to power of God’s word. Nights are no longer lonely, restless, or dark when you are enveloped with words of comfort, meaning, and encouragement, helping you awaken restore so that you can “run with perseverance the race marked out” for you (Hebrews 12:1). Julie’s vibrant, joyful spirit and genuine hospitality are woven into each of her creations. Most importantly, her fervent passion to remain rooted in the Word and share it with others is a blessing to all who know her. Now, PillowGrace is a blessing to countless homes, touching lives all over the world in the most intimate space– where we find rest. Tell me what you think makes your product different than others? Fine quality and workmanship by far! 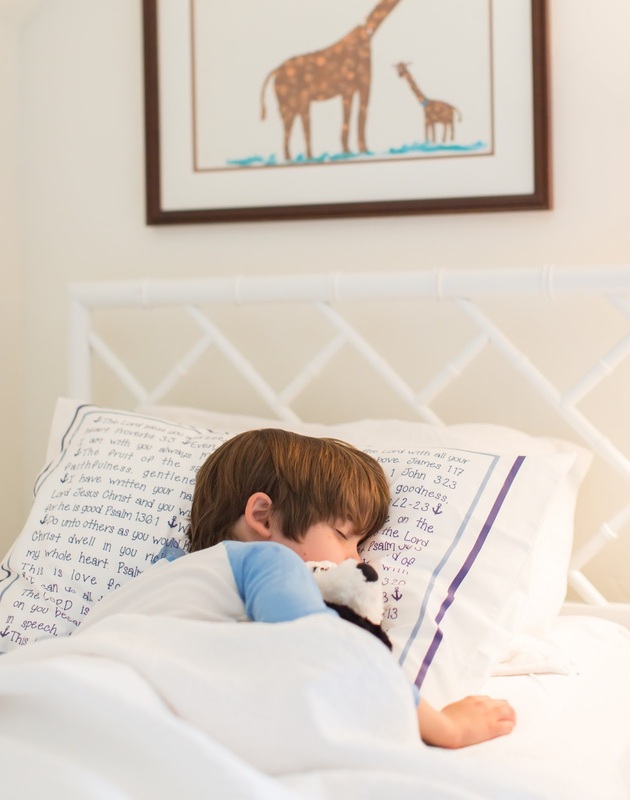 The pillow cases are hand sewn to order in southeast Georgia by believing hands. 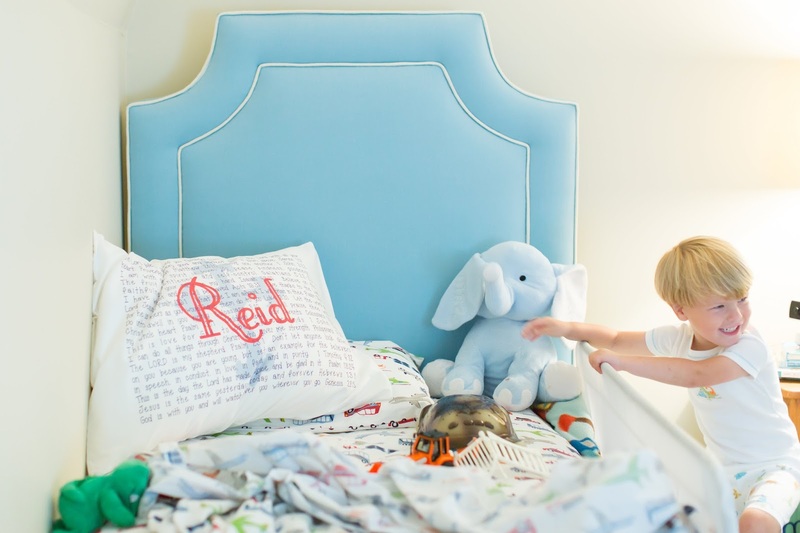 Each design can be uniquely created by choosing verses, fonts, colors, fabric, size and personalization including monogram, dates and special message. The fabric is digitally printed into natural fibers (100% cotton, 19mm silk or silk/cotton blend) with “green” ink that is not itchy and does not flake or scratch off. They are machine washable and easy to iron. We do home shows and trunk shows and are happy to travel! Do you have a favorite compilation of verses? The Happy Heart pillow case. I love what they represent. All of the verses included are what we should be. It is what Christ wants from us and for us. It is what our animals are to us ... unconditional love, forgiving, happy, joyful and so much more. Our hearts are so reflective of who we are and we need to make sure we keep it happy. Red wine and popcorn. My kids know when they see me on the sofa with my wine and my popcorn that Mama is "off duty". I make homemade popcorn with olive oil, sea salt and a splash of Tabasco. 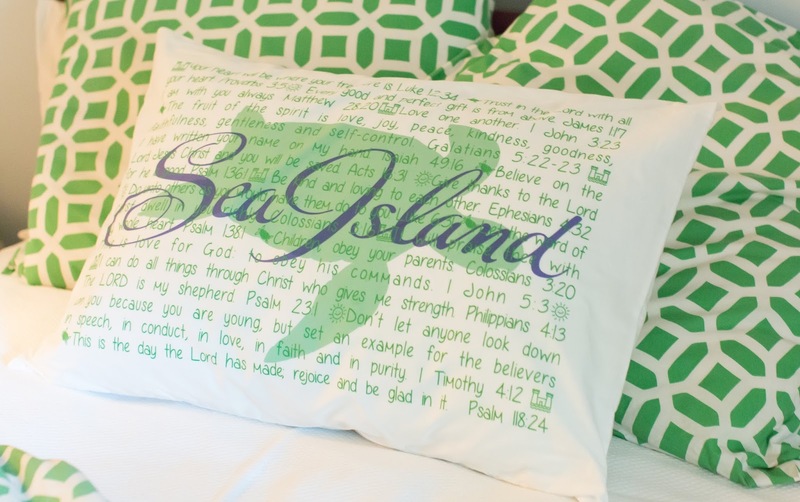 One of my favorite things about these pillow cases is the ability to customize them to match your bedding. When Julie asked to be able to gift me one she asked for the colors in our bedroom. When it arrived I was truly overwhelmed with excitement. It not only is perfect for our room but it is the pillow I curl up with as I am sleeping. I love it so very much. I love starting the week with some serious inspiration and this post was perfect for today. Make sure you check out the PillowGrace website and follow along with their journey on Instagram. You will be so thankful you did! What an amazing idea! So much truth to all she and her product stand for. Thanks for sharing and introducing us! I will definitely be checking into these, especially as a gift for my grandson! Just started following your blog and I absolutely love this story! Yee-ha for the good people who make this world a more positive and happy place!